After the re-publication of her uncle’s previously unsuccessful novels provides her with a small inheritance, Kate lives a quiet life. But on her 72nd birthday, something entirely unexpected happens: Forster Smith, the man she rejected three times, with whom she has nonetheless been in love since she was twenty, appears with a proposal of marriage. After that, Kate’s life – and of those around her– will revolve around the preparations for the wedding, which almost noone approves of... especially her family. And while she prepares her wedding, the small community is agog at the incredible news that won’t just be changing the lives of the bride and groom. 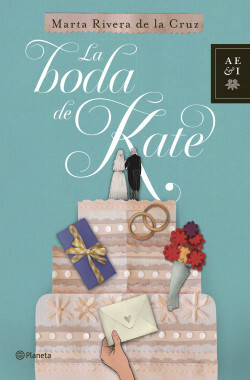 A new novel full of tenderness and emotion from Marta Rivera de la Cruz, who has already seduced over 200,000 readers. This will delight her faithful followers. An author renowned for her tender empathy for her fellow human beings; in this case a group of old women excited by the late wedding of one of their number. Thiele Verlag (Germany), Sperling & Kupfer (Italy).